How do you increase recycling and lower costs? By making recycling simple and convenient… at least that is the idea behind single-stream recycling’s popularity. But the reality is more complicated. The number of communities and cities using single-stream recycling has reportedly increased from 20 to 64 percent between 2005 and 2010. New York City is the latest to announce that its residential properties will switch to single-stream recycling by 2020. While single-stream recycling may lead to more participation and more recyclables being COLLECTED, the amount of materials being DIVERTED from the landfill and recycled may actually be lower. The reason for this affects ALL our recycling efforts, single stream and beyond. The dilemma: single-stream recycling offers convenience; it also lowers the quality of the recyclables collected. This is because higher levels of contamination can be expected in a single-stream recycling system, where all types of recyclables are collected together. The most common problem is that paper, which may be the most valuable commodity sitting in your recycling stream, often becomes wet or soiled by food residue from plastic, metal and glass containers. 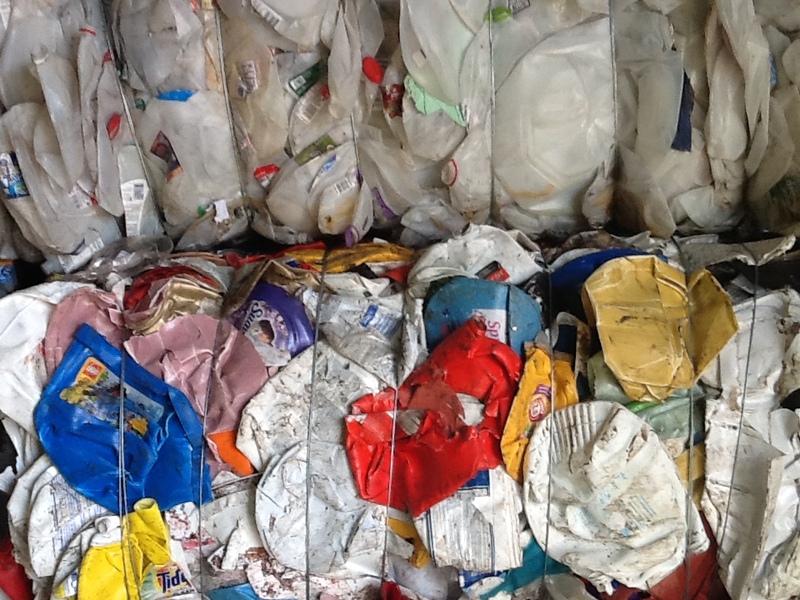 When recyclables are contaminated, they cannot be recycled and are treated as trash. In other words, they lose their value. As much as a quarter of single-stream recycling goes to the landfill, according to Susan Collins, director of the Container Recycling Institute. “In terms of preserving the quality of materials so that the maximum materials collected can actually be recycled, single-stream is one of the worst options,” Collins told NPR. With China’s green fence ban on contaminated recyclables, the need for “clean” recyclables is even more important as the market gets squeezed. This could be devastating for the US recycling industry, and could mean higher waste costs for you. Our experience tells us that source separation, rather than single-stream recycling, remains the way to improve and increase recycling. Proper source-separated recycling will reduce contamination, maintain the value of recyclables, and therefore keep more recyclables out of the landfill, which might mean lower waste costs for you. But no matter what recycling system you work under right now–single stream or source-separated dual stream–we all need to hold the line on contamination to really improve and increase recycling. Cities, companies, and individuals need to understand that recyclables tend to maintain their value and be processed for recycling if they are not contaminated. How To Succeed In Recycling? We’ve worked successfully with thousands of buildings, offices, and corporations over the years to educate their staff and tenants on how to recycle properly. As waste hauling fees continue to rise, education to ensure proper recycling and to reduce waste will be increasingly important to the bottom line. We make sure that all stakeholders know how their recycling program works. This includes instructions on proper recycling (emptying and rinsing out food containers, and making sure everything is kept dry), and proper separation (using the proper designated bins for each type of recyclables in a dual-stream recycling system). We train janitorial crews on proper handling of waste and recycling, and how to prevent contamination. Mistakes by the janitorial crews can negate all the effort your staff and tenants put into recycling. Ensuring effective placement of signage and standardized recycling bins labels are also part of the solution. In addition to education, developing a program that works with the logistics and layout of your office or building is important. For example, when we helped a large financial services firm in NYC transition from deskside bins to a centralized waste bin system, they experience a 75% reduction in the amount of recyclable materials being thrown in the trash. Part of the reason is because office workers who had to walk to the centralized waste and recycling area in their office placed more thought into what they were actually planning to do. Successful recycling requires just a little effort. We want everyone to think about what they are recycling and what they are throwing away. Single-stream recycling does not encourage thoughtful recycling, and that, we fear, may lead to more waste.